Anne F. Foley - Piloting Your Perspective to Problem Solving and Inner Peace Here’s the good news! You already have everything you need to feel inner peace and pass it on. Curious? You’ve come to the right place. I am Your Perspective Pilot™ and I will use pictures, videos, quotes, stories and questions to bring you to a clearer perspective and facilitate a better understanding of the value of this thing called “Life.” Come anytime you need some perspective. Is an inspirational story about finding peace in a world filled with fear and chaos. When three real world tragedies occur inside United States borders, Cassie Morris is drawn into each one like a magnet for reasons she can’t explain. Committed to teaching others what she has learned through thirteen passages of wisdom, Cassie’s leg of the race ends when she is placed in the middle of the deadliest terror attack on U.S. soil. Demonstrating that life is not a one person race, read how the baton of Cassie’s dream was passed in the most unlikely way. 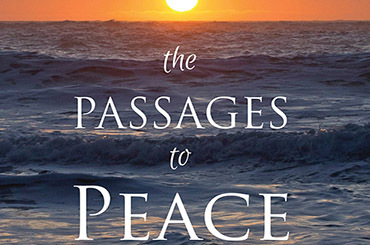 Here’s what readers are saying about the Passages to Peace. If you are near a news source on a daily basis, you are likely ingesting a significant amount of negative news. The frequency of negativity is toxic to the mind and without perspective; one could lose sight of the value and beauty of human life. If you find yourself feeling more fearful or anxious about the world we are living in, come to this place for a dose of perspective. When we have the proper perspective, we are better equipped to navigate the ups and downs of the human journey. Always remember that the sunshine is still above us, even when the clouds block our view. Does anyone know why judgement has grown to epidemic proportions in our world? I have my theories and I’m sure you have yours too … but here’s the problem with labeling people. Not one human being on this planet has all the information they need to accurately place a judgement on someone else and that is what a label is. The minute you place a label on a person, you clothe them in judgement. 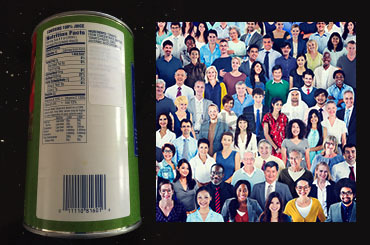 The labels we give are based on external packages and we all know that a human being is infinitely more valuable than just their body, gender, birthplace, profession, title, paygrade, or anything else. When the emphasis is on competition, someone loses. 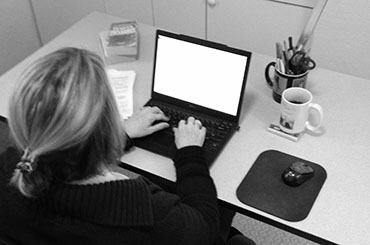 When the emphasis is on collaboration, everyone wins. Requiring our kids to be good at everything teaches them that their strengths have no greater importance than their weaknesses. Is winning the game worth losing the point? There are no customers at Planet Earth. We are all employees and break time is over. There are no “admit one” tickets to eternal life. Entry requires you to care enough about others to invite them along. “Too much” is the root cause of many human problems. Trust in the concept of take what you need: no more, no less and give the rest away. Nature gives us the answers to many human problems. Plants and animals don’t fear scarcity. They only take what they need so there is plenty for all. Life is not supposed to be recorded for future playback. If we spend all our time replaying the past, we’ll miss today’s episode. Learn to view forgiveness as the fuel for freedom. Peace is like a program on the hard drive of your soul. You just need to know how to activate it. Can anyone explain why my high definition television is more focused than my life? We all need to let go of having to know everything and embrace knowing what matters. The value of life will never be uncovered by looking in the mirror. You can’t see your value, you can only know it.